Last week at the annual Sky Ball XV event, Envoy presented a $50,000 check to Veterans of Foreign Wars (VFW) Post 8967, located in the small community of Port Aransas, Texas. The VFW’s facility sustained heavy damage during Hurricane Harvey, and this donation will help them rebuild their facility and continue to provide important services and support for our nation’s veterans. The VFW is known for a place where everyone is welcome at any time, especially during the holidays, where meals and fellowship are offered at no charge to those who attend. In 2016, the post was recognized by the VFW as an “All State Post” for their service to society, helping wherever there is a need and partnering with everything from local schools to animal welfare. 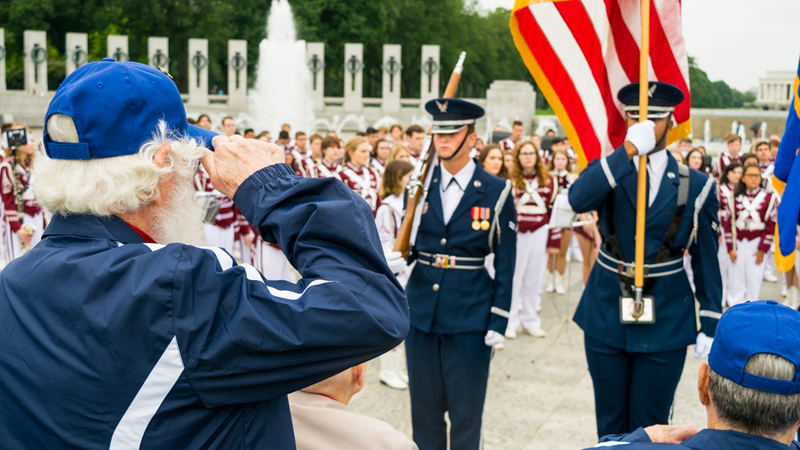 The post, led by Commander C. D. McCabe, a veteran of the U.S. Army’s 173rd Airborne Division and Vietnam, represents the best of the people who wear the nation’s military uniforms. “Envoy has always been a dedicated supporter of military and veteran initiatives that honor those who serve and protect our country. Throughout the years, we’ve provided charters and participate in numerous events that benefit veterans, service members and their families,” said Pedro Fábregas, President and Chief Executive Officer at Envoy. Even when Hurricane Harvey created enormous damage in the facility, the VFW members immediately reported to the post, raised their flag as a symbol of hope, and set up an aid center for other storm survivors.